Cardi B is living out her dreams. The “Bodak Yellow” rapper met her idol Madonna at the Material Girl’s Oscar after-party on Sunday (March 4). 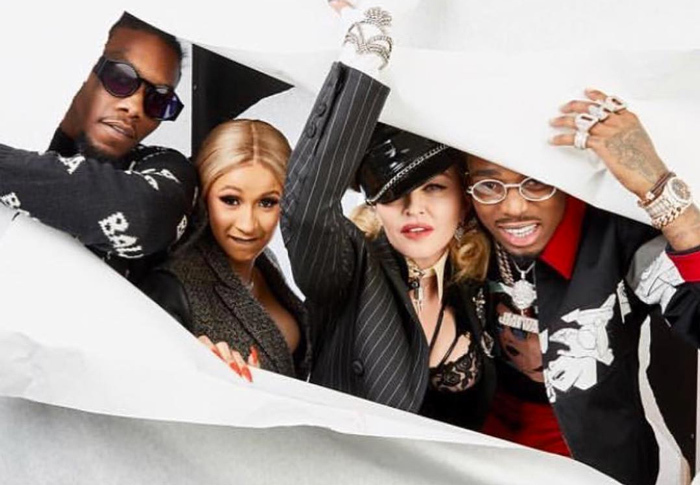 Sharing a photo of herself and fiancé Offset with Madge and Quavo, Bardi celebrated the momentous occasion on Instagram. “I met my real life IDOL @madonna,” she wrote. “I can’t even believe i performed at her event and it was the most meaningful performance ever.” Cardi reflected on listening to Madonna as a teenager in the Bronx.